Urge your state representatives to introduce similar legislation. 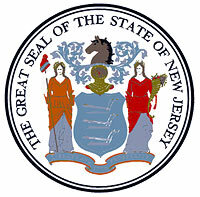 In December 2009, the state of New Jersey passed bill SCR129 memorializing the United States Congress to support increased funding for medical research for ichthyosis. We are asking our members from every state to contact your local state senators and representatives to ask them to bring a similar bill to the floor in your state. With multiple states participating, our voice will be louder at the National level. To locate your state representatives, CLICK HERE. This will bring you to The National Conference of State Legislatures website. To print out a sample letter to use in your correspondence, CLICK HERE.